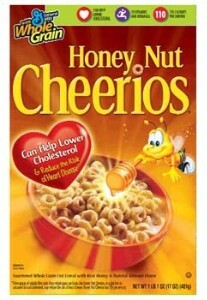 Hurry on over here and fill out the form to request a FREE sample of Honey Nut Cheerios. Also, you can choose to send the sample offer to a friend to also receive a $0.75/1 coupon with your sample in the mail! Allow 6-8 weeks for delivery. Hurry, supplies are limited! I know this if off topic but I'm looking into starting my own weblog and was wondering what all is required to get setup? I'm not very web smart so I'm not 100% sure. Any suggestions or advice would be greatly appreciated.